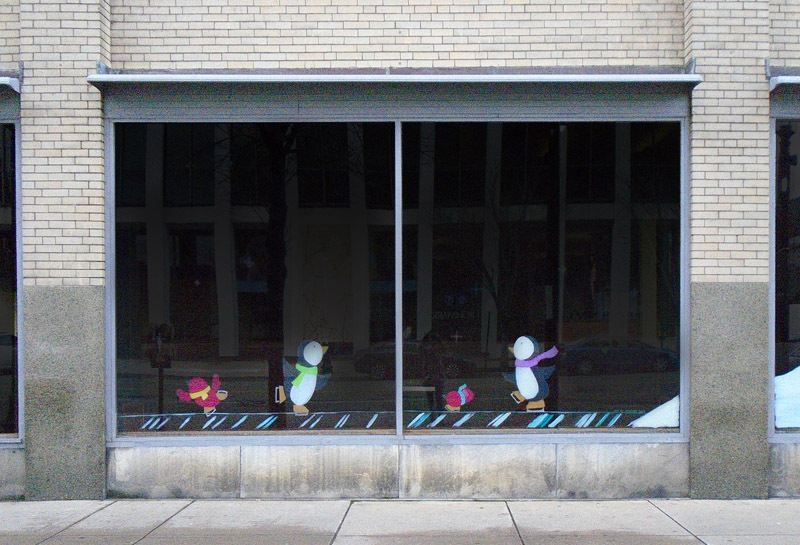 In December of 2015 I was commissioned to paint a Christmas-themed mural on the windows of the Boston Store. 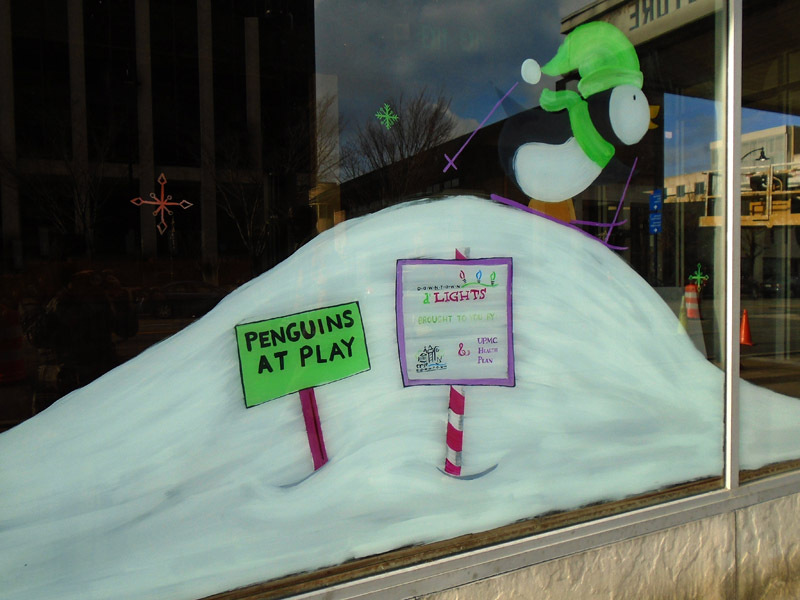 This was for the Downtown D’Lights event, where Santa comes and turns on all the Christmas lights in Downtown Erie at once! 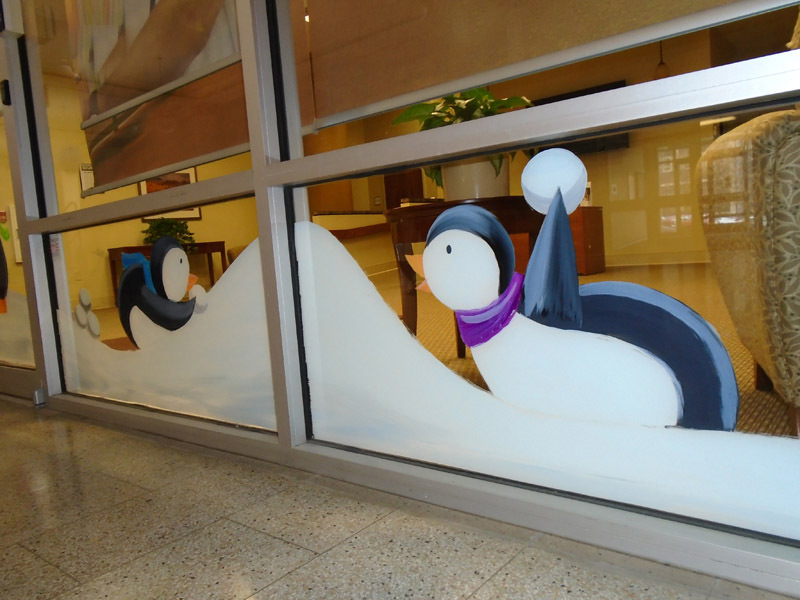 The event was run in part by UPMC, which was the company that hired me to do the mural. 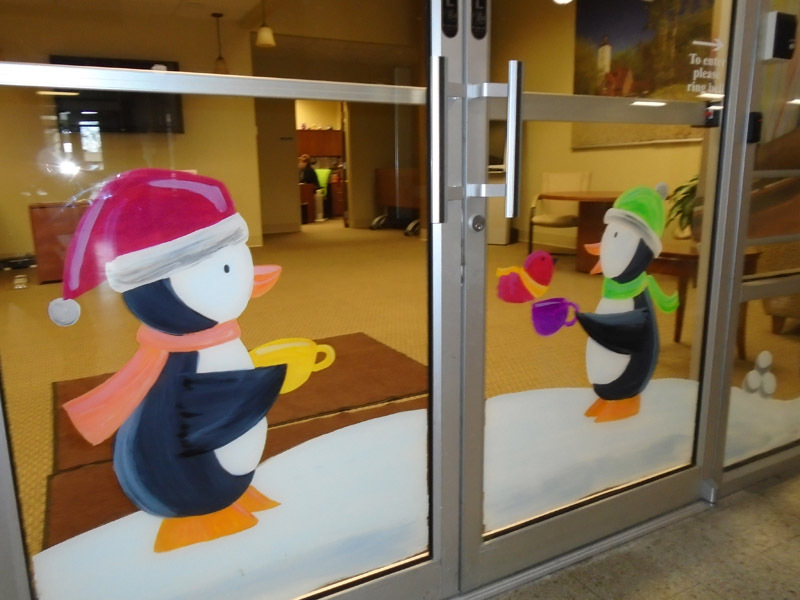 They asked me to come up with a kid-friendly holiday design, and the penguins were their final choice from my sketches. 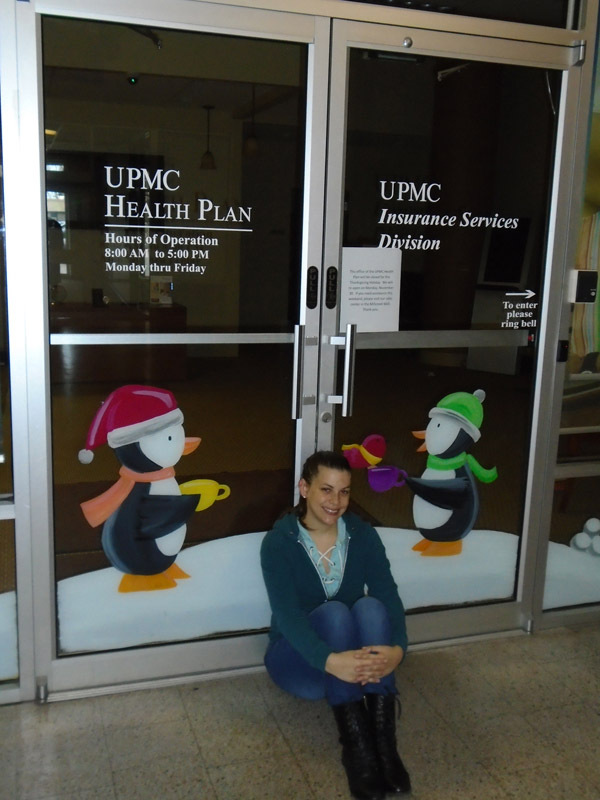 I painted two murals – one was inside the Boston Store building, on the windows of the UPMC entrance. 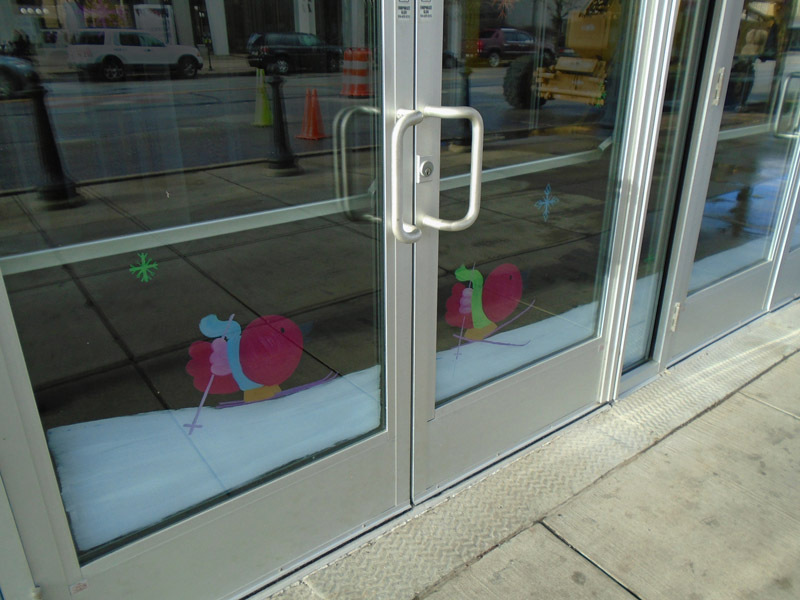 The other was on the outside of the Boston Store building – on the windows and doors of the State Street entrance. 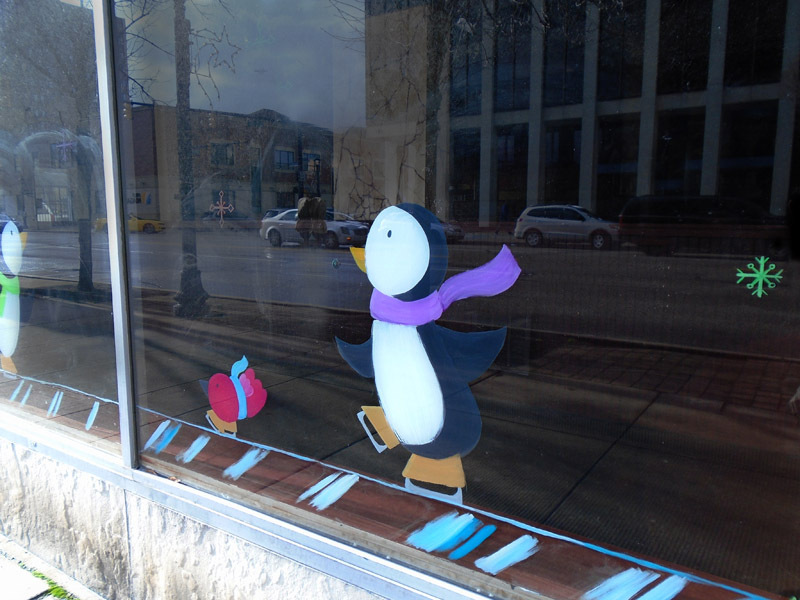 This was a very different experience for me, because it was my first time painting on windows. 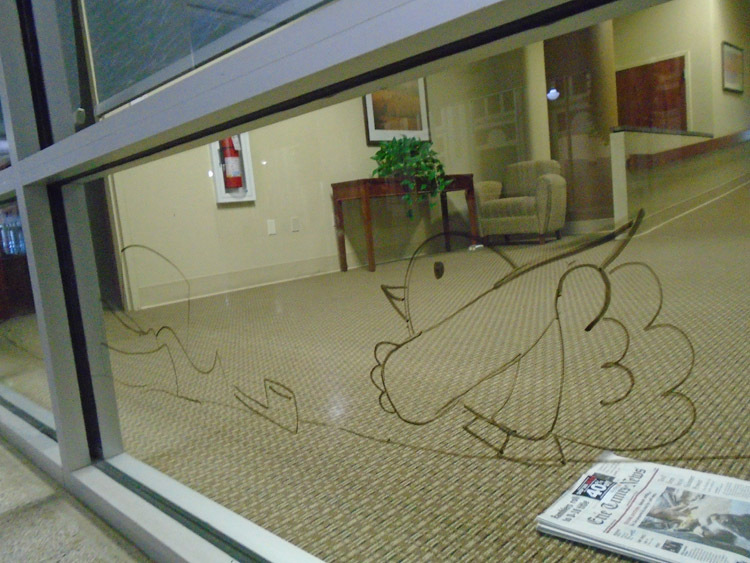 I painted on the inside of the windows, to be viewed from the outside, so I had to do everything in reverse. 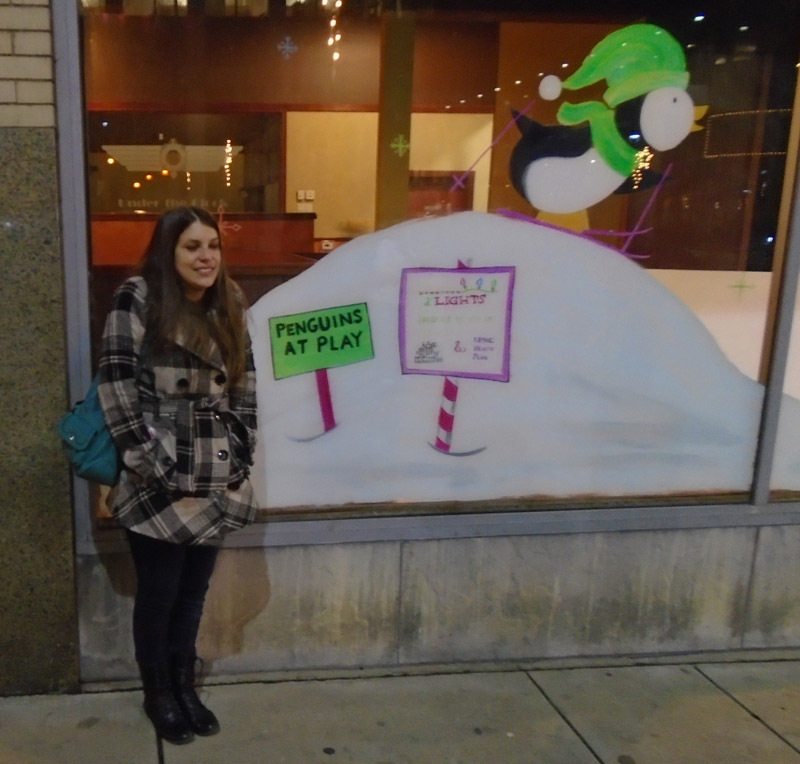 It was a very interesting and challenging experience! 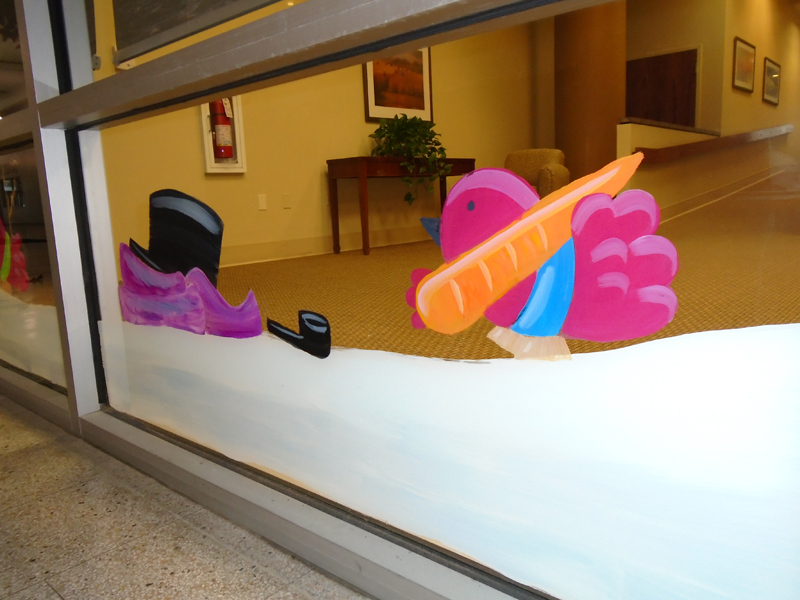 I first drew the design on the outside using dry-erase marker, and then painted the design on the other side of the glass using acrylic paints. The paints will last as long as needed, and then will be easy to take off by soaking with glass cleaner and then rubbing or scraping off.